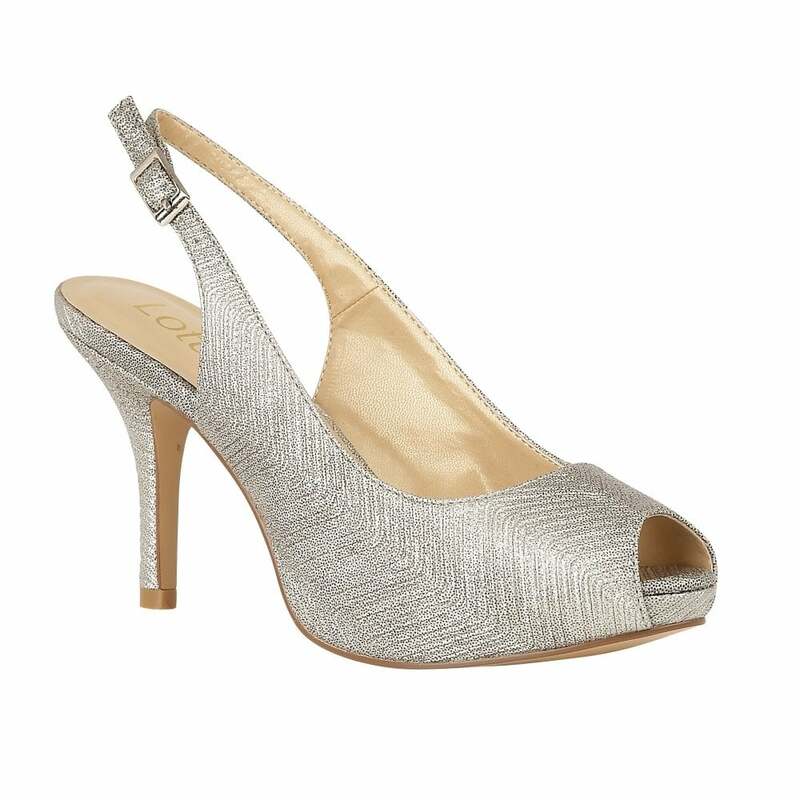 The Lotus Adora peep-toe shoe is a sleek and elegant style. With a concealed platform, a 9.5cm stiletto heel and crafted in a metallic silver textile, this Lotus ladies’ sling-back shoe is perfectly poised to add the ultimate finishing touch to your ensembles. Team the matching Lotus handbag Belinda with Adora to effortlessly achieve a look that embodies red carpet glamour.